So what's a scrip dividend you ask? Well, it’s basically a way for a firm to issue new shares. It’s normally done in place of paying a dividend. As with all other money matters, it’s far more complicated than it initially sounds so we’ll go into it in greater detail below. 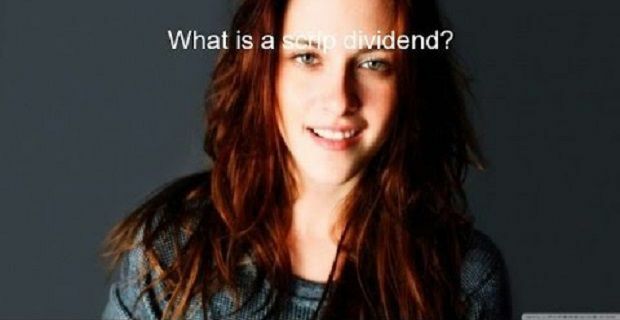 A script dividend is also known as a scrip issue, a capitalisation issue or a bonus issue. Whatever name it’s given, the basics are the same. The company’s cash reserves are converted into new shares and these rather than dividend payments are made out to the existing shareholders. In the UK, public limited companies (the firms listed on the London Stock Exchange) can create new shares in a number of ways. The scrip dividend is calculated in relation to the existing holdings because the firm don’t want to increase the value of the company when they issue these shares. What this means is that each “scrip” share is worth a portion of the current share value. For example, each “scrip” share could issued for every ten existing shares. This has a slight impact on the value of the current shares but not enough to make any real impact. Each investor has the right to sell the scrip shares in the market. The investor has to report the cash value of the share on his or her tax return as they would with a cash dividend. The list is far bigger than you’d first imagine and it crosses lots of different industries. Firms like Barclays Bank, BP, National Grid and Rolls Royce issue this form of dividend to their shareholders.